The mixologist uses many tools to perfect the cocktail, they use strainers to catch off cuts of ice and fruit, they use measures to ensure they get the perfect balance of flavours, and they use their naturally huge biceps to shake the mix into a thing of beauty. But the one thing that is absolutely essential is the shaker itself. That’s why we want to pay tribute to the hardest worker in the room by making it the centre piece of our cocktail of the month for October. We call this one ‘All Shook Up’. Mixing drinks has such a long history that it is very difficult to find out where it originated from, but what we do know is that before the mid 19th century the preferred method of mixing drinks was to pour the mix from one cup into another, back and fourth until it was blended together perfectly. Now to me, that sounds messy and more work than it tends to be. That is until some clever bartender decided to merge the cups together and create the first cocktail shaker. Since then, we have had three different iterations that stood the test of time; the boston shaker, the French shaker and the cobbler. They all have their different merits and have all been modified in some way, but they stand strong to this day. The ones we use now are able to take a beating, are rust proof and enable us to make some really tasty drinks! 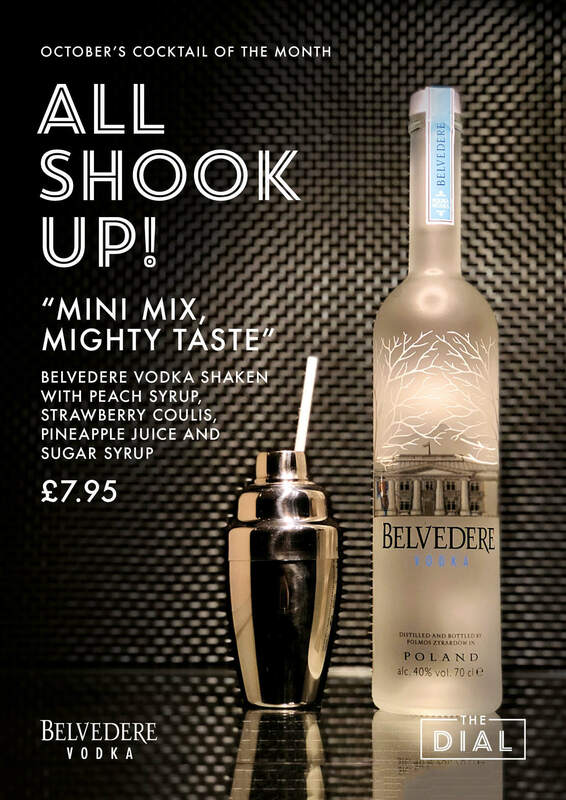 To create our drink we have used a vodka that has also stood the test of time, Belvedere Vodka, a super premium vodka that is the result of six hundred years of Polish vodka making tradition. We have mixed it with peach syrup, fresh strawberries and pineapple juice in our mini shaker which you actually enjoy the drink from using one of our bio degradable straws. So for a taste of history and to hold a piece of history, ask us at the bar for something all shook up.